Mattress depth 23cm (9.1") approximately. 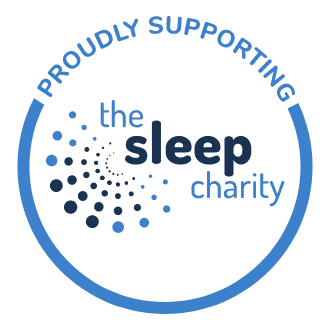 This Sleepeezee adjustable divan benefits from a 7 year guarantee. Please note: the motor and slats are covered by a 2 year guarantee. Introducing the all-new 1000 Pocket Natural Adjustable Divan from Sleepeezee: why struggle getting in and out of bed? This bed is here to help you! Constructed from 1000 individual pocket springs, the 1000 Pocket Natural moves independently with your body to offer tailored support all through the night. 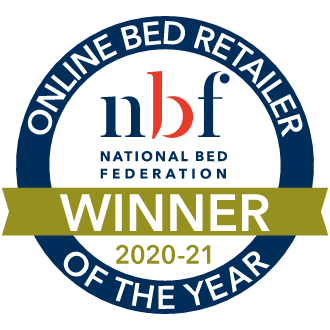 Cushioned with sumptuous layers of natural British wool, this mattress is infused with Cool Comfort technology - ensuring a cool and fresh slumber! Finished with a luxuriously soft-to-touch fabric cover, the 1000 Pocket Natural offers enhanced comfort while you sleep. 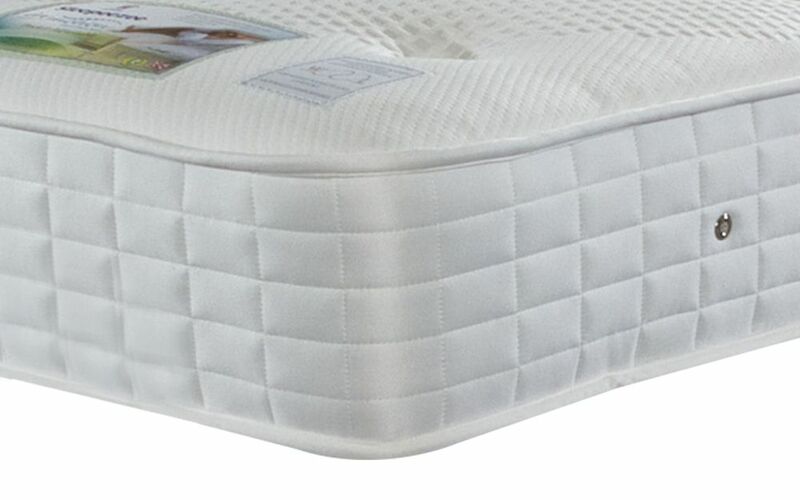 Hand-tufted with felt tufts for added support, this mattress secures all of the plush fillings for continued performance night after night. Complete with turning handles, the Pocket Natural is single-sided for your benefit and will only need rotating every three months! Sleeping made easy: all with a touch of a button! This adjustable divan base has three different sleep settings - simply use the provided handset to find your desired sleeping position. 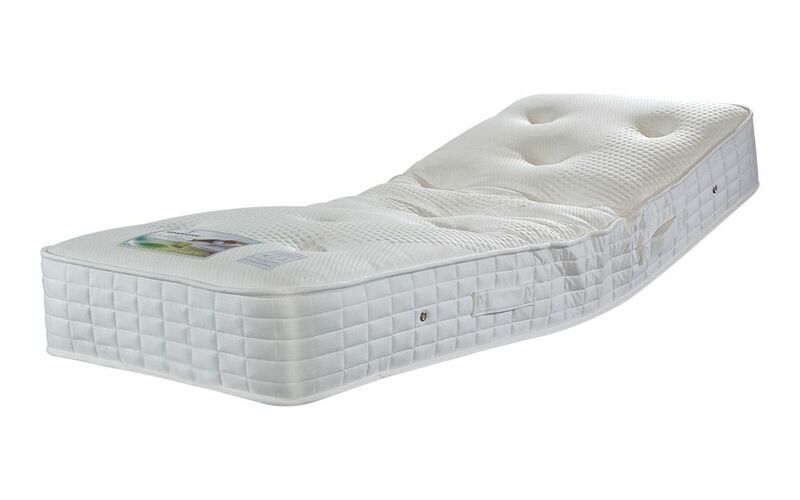 This adjustable bed is easy to use, with individual buttons for altering your position. Take your time getting in and out of bed with this slow speed that gradually changes your position. Give your back the support it needs with tailored lumbar support - choose how firm you want your slats to be and adjust them accordingly! Available in a range of fabric colour options, this adjustable divan bed is the ultimate focal point to your bedroom. 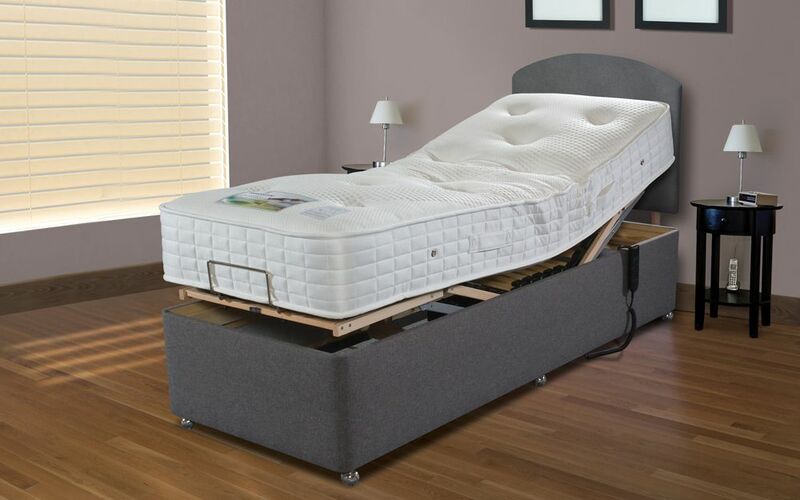 Complete with Free Two Man Delivery to the room of your choice, a trained delivery team will install your new adjustable bed, and demonstrate how to use it! Please note: this adjustable divan bed comes with a 7 Year Guarantee (2 Year Guarantee for the motor). This bed has an 18 stone weight limit per person, per bed. For further information on guarantees and weight limits, please call our Customer Service Team on 01709 780881. You may be eligible to reclaim the VAT on this adjustable bed set. Please follow this link for further details on how to process a claim. If you require any help or support, simply call us on 01709 780881. Please allow 2-3 weeks for your delivery date to be arranged. Delivered to the room of your choice absolutely FREE. Let the trained delivery drivers install your new bed and show you how to use it! 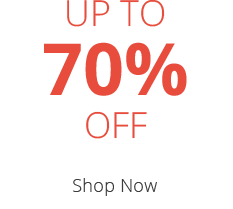 Delivery is on an all-day service, 7am - 6pm, Monday - Friday.